If Neil Armstrong gifted you a vial of moon dust when you were a child, you would probably cherish it your entire life, at least that’s what Laura Ann Cicco did. But when NASA became aware she was in possession of “lunar material,” it sought to confiscate the gift from her, more than 40 years later. Now Cicco, née Murray, is suing the space agency to hold on to her prized gift from the famed astronaut. Cicco and her attorney are contending that lunar material is not contraband and that it is not illegal to possess moon rocks. Cicco says she is the rightful owner of the sample and that there is no law preventing her from owning it. A signed, personalized note from Armstrong himself was also analyzed and determined to be authentic, adding to the sample’s veracity. But there is some precedent for NASA’s desire for the vial, as it has repossessed lunar samples in the past. 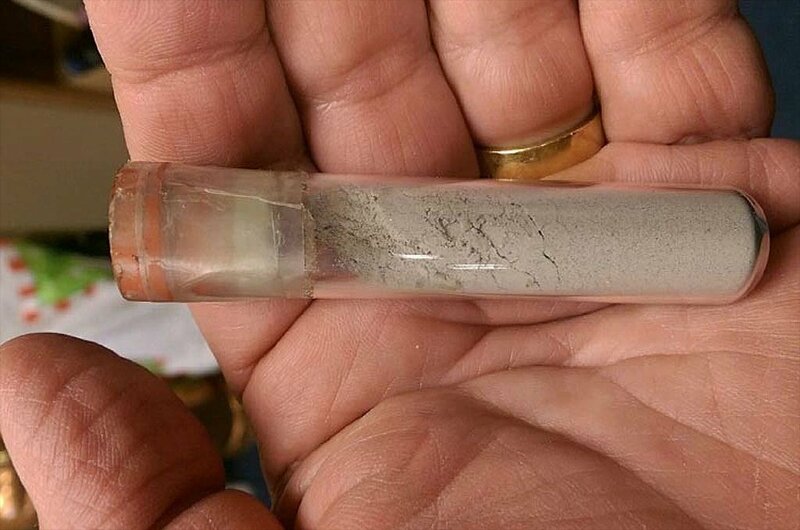 In April 2013, 20 vials of moon dust were discovered sitting in a warehouse at Berkeley National Laboratory that had been forgotten for 40 years. NASA got them back, though the lab was quick to oblige as it was run by the U.S. Department of Energy. Last year, a bag of moon dust sold at auction for nearly $2 million, after Nancy Lee Carlson purchased it through a federal auction website for $995. Before the auction, Carlson sent it to NASA for verification, but found that the agency refused to give it back. Carlson sued and had the sample returned to her, promising to contribute some of the auction money to charitable causes. Ironically, Carlson’s bag of moon dust was originally confiscated as part of a multitude of stolen items found in the home of a Kansas space museum owner, named Max Ary. Police seized a number of items from Ary, before selling them at government auctions, apparently not realizing they should be returned to NASA. When it comes to moon rocks and space dust, it’s likely NASA is so protective due to the frequency of con artists selling counterfeit samples. NASA agents will frequently go undercover to bust people, including the time in 2011 when agents ran a sting operation on a 74-year-old woman in a Denny’s parking lot. The woman, Joann David, said her husband was gifted her granular lunar sample from Armstrong as well, much like Cicco. But while David’s attempt to sell her sample was probably legal, there have in fact, been quite a few cases of counterfeit deals NASA has intercepted over the years. Of the more than 800 pounds of lunar samples brought to Earth during the Apollo missions, many samples were given to foreign countries and private individuals as gifts, though NASA claims this was under the pretense they still remained government property – essentially, they were loaned. Though it’s now estimated that 90 countries and 10 U.S. states cannot account for their samples. So, when they end up in the hands of private individuals, who’s to blame?